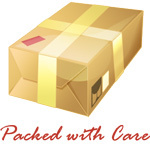 Knowledge Base :: Amber Nursing Necklaces - Amber Jewelry Store | Online Gateway to Amber Necklaces, Bracelets, Prayer Beads, Baby Teething Necklaces, Pendants, Amber Stones with Insects and Amber Earrings. 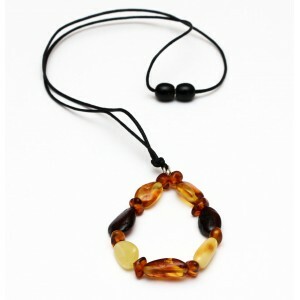 Amber nursing necklaces are used in child nursing, usually to retain the baby's attention and keep him occupied. In the first 12 months, the child becomes increasingly interested in everything that surrounds him: objects, people, colors, stimuli and everything related to mother's comfort and feeding. Amber nursing necklaces will be recognized in time by the child as an object related to his mother. Just because a woman becomes a mother it does not mean she has to give up her sense of style or reconsider wearing stylish jewelry. 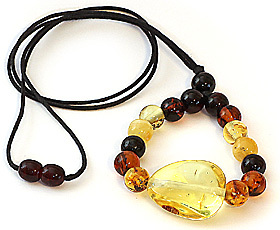 Mothers with babies can wear stylish and funky amber nursing necklaces made of beautiful gemstones. They can also be worn by others who spend a lot of time around babies, for example, grandparents, child carers, nannies. Most of these necklaces are made of Baltic amber and are comfortable, lightweight and easy to wear. Amber also has healing energies that improve both body and mind. It is a mystical, beautiful gemstone, radiating with positive energy. It gives the wearer a sense of peace and calm thanks to its therapeutic qualities and natural pain relieving characteristics. For those who do not know, Baltic amber is also considered a great anti-depression and anti-anxiety remedy, helping the wearer by reducing fatigue or weariness. Amber nursing necklaces induce self confidence and create a traditional bond between mothers, grandmothers and daughters, due to the fact that amber jewelry is usually passed from one generation to another. This is a common practice in Europe..
Another great thing about amber is that it can be used as a remedy for baby teething and other inflammations if worn close to the skin.. As a natural analgesic it is claimed to calm babies who cry. So amber nursing necklaces offer a double dose of comfort - both nursing and soothing at the same time. Made from fossilized tree resin, amber's beauty and mystery can captivate anyone. Each piece is unique, with various shades, forms and colors. Amber nursing necklaces are strung using fiber ten times stronger than steel, ideal for both strength and ease of washing, so baby drooling can be easily removed, and are made with well-rounded chips to reduce the choking risk even further. The necklaces are fastened during normal use, but have a safety clasp which is easily released if snagged. Thanks to their amazing benefits for both mother and baby, amber nursing necklaces make a unique and thoughtful baby shower gift.